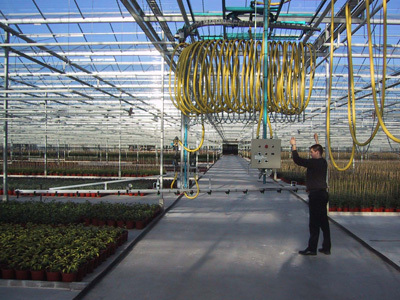 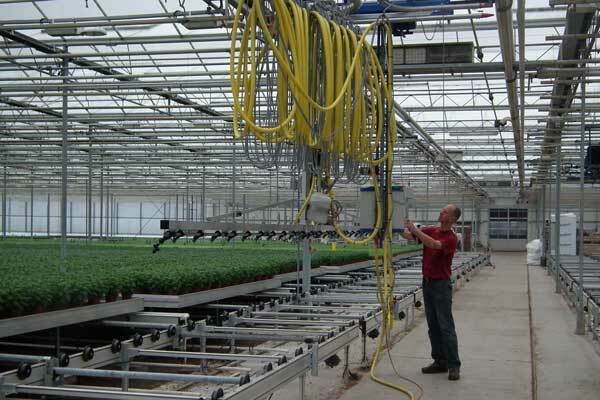 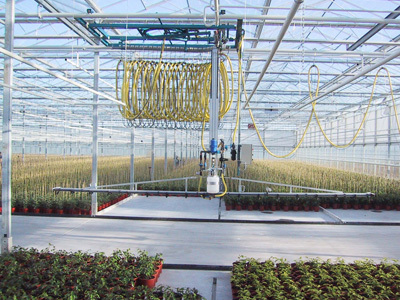 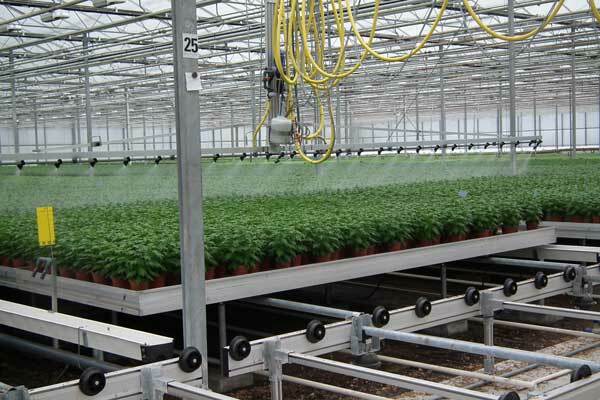 The Irrispray-SA/HM is an overhead transportable irrigation and spraying system. 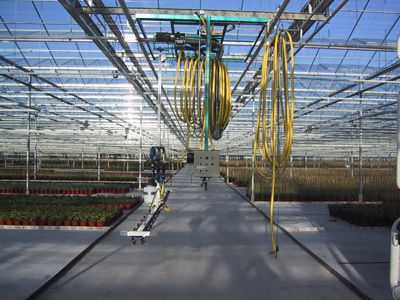 The transfer trolley can be manually transported from bay to bay. 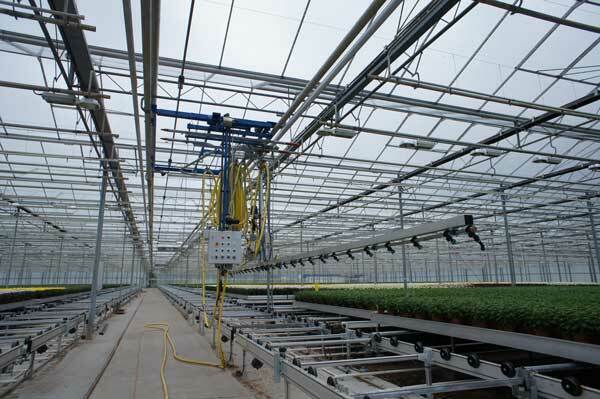 By use of a manual turning device the gantry can be turned 180 degrees while the trolley remains in its position. 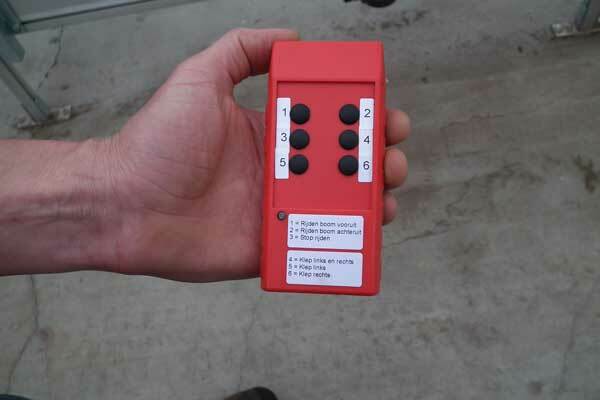 The height of the boom above your crop is adjustable.